We chatted with director Yen Tan about his acclaimed 1980s set drama. Texas, Christmas 1985. 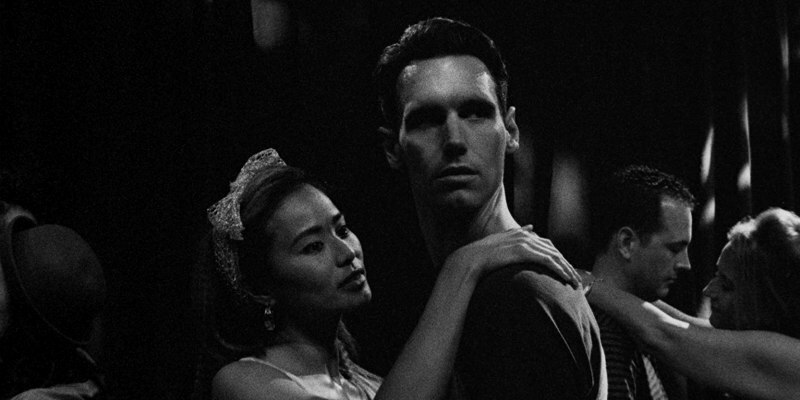 Adrian (Cory Michael Smith) is home for the first time in a long while. Between his mother’s fawning affections, his father’s begrudging, stilted conversation and his only brother’s cold shoulder, Adrian is all too aware of the impact of his absence had had on them. He is determined to make this visit count, only he knows that the life built in New York City is crumbling apart. 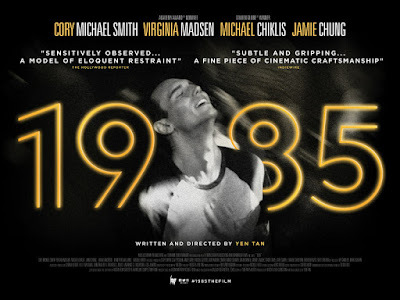 AIDS era drama 1985 is in UK cinemas and on VOD December 20th. We chatted with its director and co-writer, Yen Tan. 1985 began life as a short. Was it always your intention to develop the story into a feature? Not initially. It was only when the short was completed that my producers and I discussed the possibility of turning it into a feature. I realised there was more to the story that I wanted to explore. Is the story based on any personal experiences? They were collectively based on several stories I heard from people who were directly impacted by the epidemic in the '80s and the '90s. Personally, I wanted to make a film to make a distinction between the disease and being gay. When I was growing up in that era, I felt like they were always perceived to be the same thing. I wanted to go back in time and tell myself as a boy that being gay can be a beautiful and complete experience that isn't weighed down by the baggage and stigma of HIV/AIDS. Black and white can often feel like a gimmick used to add a false sense of artistry to a film, but in the case of 1985, I can't imagine it being filmed in colour, as the colours and fashions of the era could prove a distraction. Removing the colour gives the film a timeless quality. Is this why you went down this route? Yes, absolutely. We wanted to narrow your focus to the characters, and not make a film that was nostalgic about the '80s. As it's relatively inexpensive when compared to film, digital has proved a Godsend to independent filmmakers, yet you opted to shoot 1985 on Super 16. What inspired this decision? 16mm has a noticeable grain structure that felt immersive and alive. It immediately made everything look and feel period without the extensive post that is required for digital footage. We also liked that it conveyed the idea that 1985 is found from the vault of the era, that it had this aesthetic of early New Queer Cinema and Jim Jarmusch. As I discovered upon publishing my review, your leading man, Cory Michael Smith, has a huge following due to his role on TV's Gotham. He's fantastic in the role, and I imagine having an actor accustomed to the quick turnaround of TV production proved helpful on a low budget shoot? Absolutely. Virginia Madsen, Michael Chiklis and Jamie Chung have all done a lot of TV, too, and that training has helped us overcome the limitation of not having sufficient rehearsal time. Everyone had to think fast on their feet, while feeling the pressure of nailing it on film. It was something they all responded to as a creative challenge. Several of your scenes play out in relatively long takes and in two-shots that draw us in to the drama. Was this always your intent or was it dictated by the strength of the performances? It was always my intent. Staying on the shots longer allows us to experience the drama in real time while seeing the body language of the actors, which lets us know them more intimately. The strength of the performances definitely complemented the way we shot it. What can we expect next from Yen Tan? A few things are in development. I'm hoping to be in production on a new feature in 2019!